Puerto de San José (Guatemala) (AFP) - Guatemala's navy on Thursday dispatched a vessel to watch over a Dutch "abortion ship" carrying activists vowing to help women circumvent the country's longstanding prohibition on terminating pregnancies. "The military will not permit this group to carry out its activities in the country," the military said in a formal complaint to the prosecutor's office issued on instructions from President Jimmy Morales. 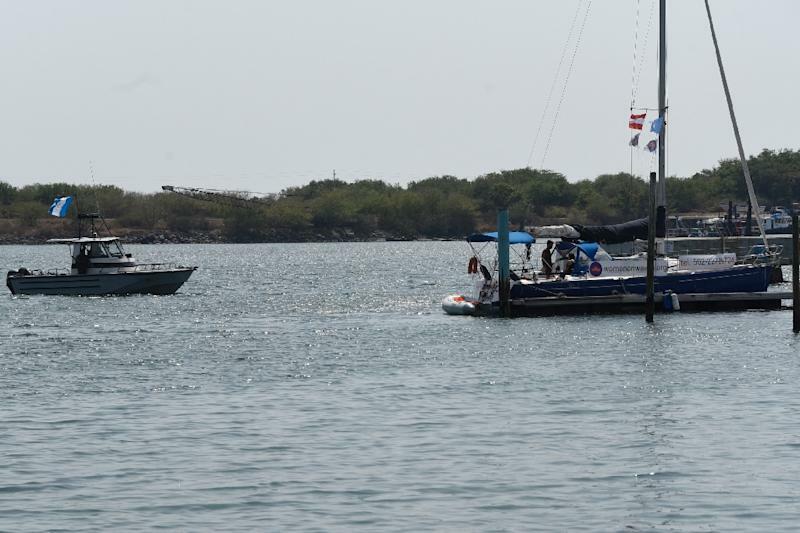 The group, Women on Waves, said in a statement that their sailing ship was being "detained" illegally by the military, which it accused of "obstructing a lawful protest against the state's restrictions on the Guatemalan women's right to safe abortion." 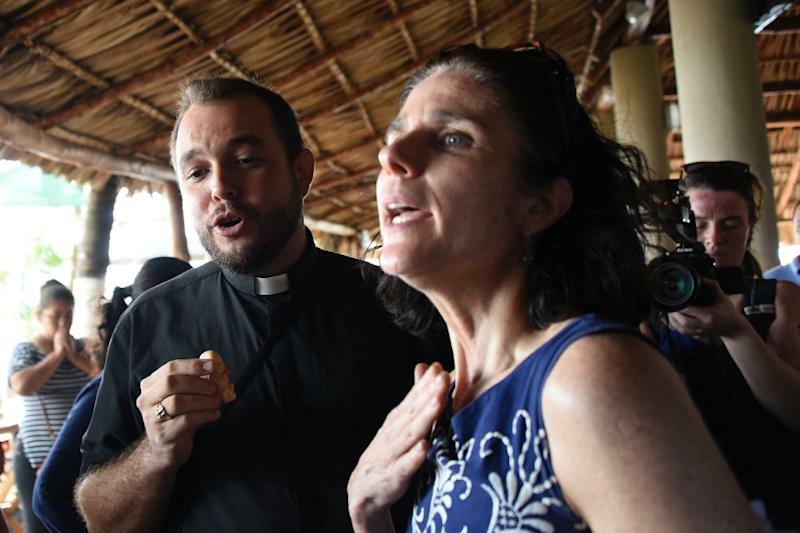 The arrival of the Dutch-registered ship in the port of San Jose, south of the Guatemalan capital, prompted fierce protests by Christian groups. They disrupted a news conference by the activists, who counted 10 people from Brazil, Austria, Germany, the Netherlands, Spain and Guatemala. "They say they are fighting for life and human rights, but it looks like murder has become a human right," said a protesting seminary student from Cuba, Gil Hernandez. The group has pledged to offer abortions in international waters just off Guatemala's coast over the next five days. Abortion is allowed in Guatemala only in cases where the mother's life is in danger. According to Women on Waves, some 65,000 illegal and unsafe abortions take place in the Central American country every year. Set up in 1999, Women on Waves has generated controversy with its abortion ships in the past. Its founder Rebecca Gomberts confirmed to AFP that the Guatemala trip was the first since a 2012 campaign in Morocco, when the Moroccan navy blocked a harbor to prevent the group's ship from docking. For its mission to Central America, the organization said in a statement: "The ship can provide women with free legal medical abortions till 10 weeks of pregnancy after sailing to international waters, 12 miles outside Guatemala." Gomberts said the plan was to pick up five women at a time by dinghy and take them to the ship waiting outside Guatemalan waters. Abortions would be induced with two pills. Counseling, treatment and after-care would also be available for women seeking the group's services. An Austrian doctor on board, Christian Fiala, said the abortion-by-pills was 99 percent safe and approved by the World Health Organization. In past years, a Women on Waves ship has also visited Ireland, Poland, Portugal and Spain, prompting protests by pro-life groups in each country. Women on Waves argued on Thursday that "especially at the dawn of the Zika crisis, access to safe abortion is fundamentally an issue of social justice." The group urged the Guatemalan government to "remove abortion from the penal code," saying it is "a regular medical procedure and a human right" and calling for access to contraceptives and free, safe abortions.